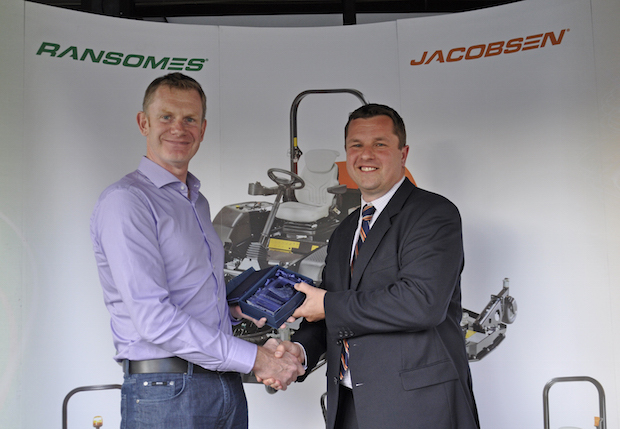 In conjunction with their annual UK Dealer Meeting, which coincided with the launch of the Ransomes MP Series five-gang cylinder mowers and Jacobsen Truckster XD, Ransomes Jacobsen presented sales awards to their top performing dealers. Held at an evening reception in the Riverside restaurant at Woodbridge in Suffolk, the winners were TH White Ltd, Fairways GM Ltd and Turney Groundforce. 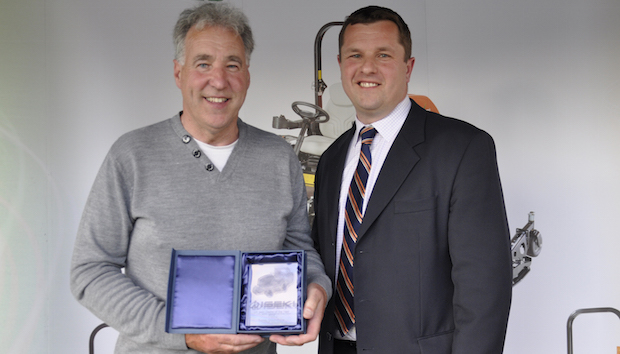 TH White Ltd, with sales and distribution depots in Reading, Redditch, Tetbury and Timsbury, were the recipients of the Ransomes sales award for their exceptional market penetration in the municipal and groundscare contractor sectors. Through a combination of skilful forecasting, professionalism, targeting large national and regional accounts and working with key municipal authorities, they have significantly increased Ransomes market share across their territory. They work closely with Ransomes Jacobsen to ensure that potential business is maximised and also support customers through their own extensive hire fleet. 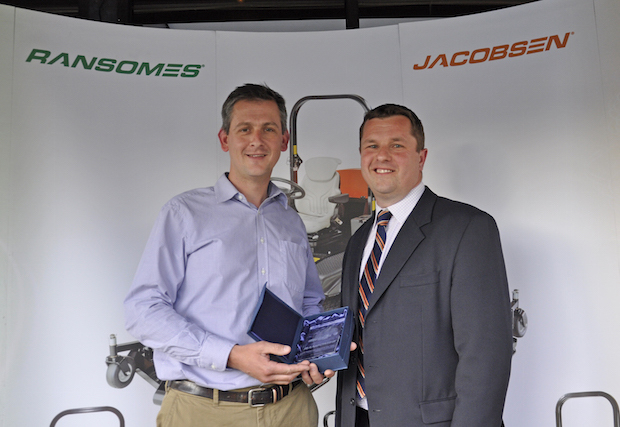 Scottish dealer, Fairways GM, were the winners of the Jacobsen sales award. Strategically located at Inchinnan, close by Glasgow airport, Kinross in Perthshire and Aberdeen their strategy of realigning their sales team to concentrate on the two specific core brands – Ransomes and Jacobsen – has resulted in above forecast sales results in the golf sector. Utilising a large demonstration fleet they provide a prompt and efficient service, maximising opportunities to influence purchasing decisions and have won business from top European Tour venues in their region. Operating from two retail depots near Bicester, Oxfordshire and Wellingborough in Northamptonshire, PA Turney are one of the smaller main dealers in the Ransomes Jacobsen network. However, this has not prevented them from becoming the top performing Iseki dealer in the UK. Targeting high wealth consumer customers, large estates, country houses, educational establishments with the Iseki range of compact mowers and tractors and providing industry leading after sales support, they were deserved winners of the Iseki award. “Our congratulations go out to all three of these dealers. In differing ways they have all demonstrated extreme professionalism in their strategic approach to gaining market penetration in their respective territories.